Judging from the tattoo on her left wrist which reads “I believe in the good things coming” it’s safe to say that Ottawa native Grace St-Germain is an optimist – and has the right mindset to succeed. “It’s a reminder that no matter what you are going through, whether if it’s a bad hole or anything else, that good things are coming if you stay patient and committed to your goal,” explained the 19-year-old. 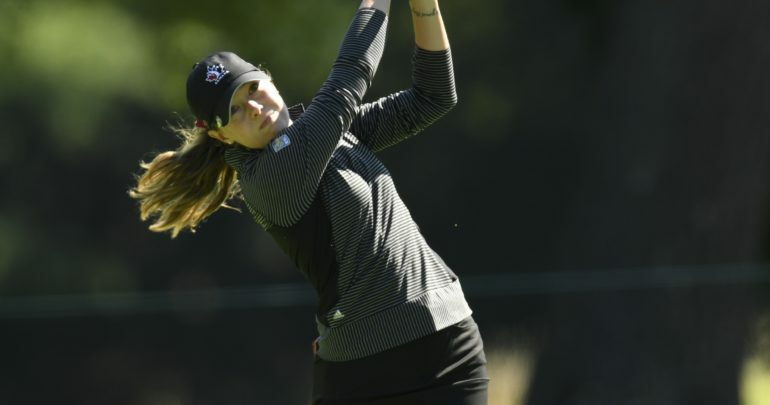 Recently at the CP Women’s Open, the national team member took some time to talk about her journey on the golf course. 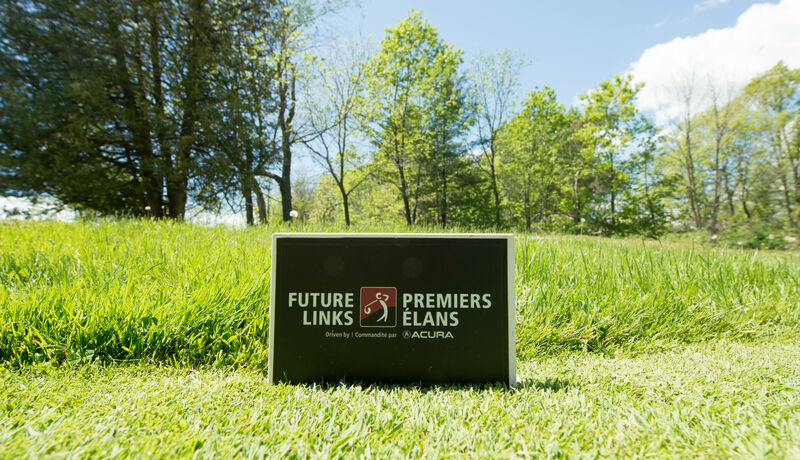 “My grandparents ran the junior program at Hylands Golf and Country club – right behind the airport – where they were members; and they brought all the grandchildren out to play,” said the talented young Ottawa golfer. And young Grace took a liking to the sport right away. “I was seven years old at the time and really liked it. It was more fun than watching it on television. I thought it was fun being outside all day and playing with the other kids,” she noted about her humble beginnings. While St-Germain enjoyed the sport, it wasn’t something that she took too seriously at first. But that changed when she was 11 years old; and exceeded expectations at a provincial level tournament in Quebec. Since making that commitment, her game has taken off. One of St-Germain’s most notable achievements in her young amateur career came in 2014 when she captured the Canadian Junior Girls Championship at the Thornhill Golf and Country Club. 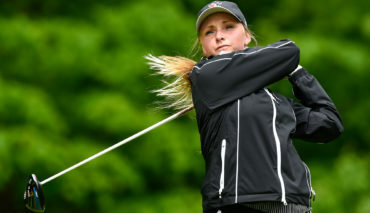 “Going into the week, I felt really confident; and then, I put together a few good rounds and by the last day I was in the lead by a few shots,” she said. St-Germain says it was some simple but effective advice offered by her coach that helped calm her nerves prior to the final round. The advice worked wonders as she held on to capture her first national title. “It was surreal. My mom was crying and my dad gave me a huge hug. It was such an amazing experience and I just gained so much confidence from that,” recalled St-Germain, who also captured the Ontario Women’s Amateur in 2016. Having worked closely with St-Germain over the previous three years, Canadian women’s national team head coach, Tristan Mullally, has nothing but praise for her commitment and dedication to success. “She has very positive attitude – which is really important in the sport of golf – and has a really good work ethic. It’s easy to see that she’s committed to success and is willing to do what it takes to get better each day,” he noted. “Grace is still young and she’s still developing so as she gets stronger we’re going to see her hit the ball further and when you combine that with the fact that she’s got a very solid short game, it’s safe to say she has a bright future ahead,” added Mullally. Having spent two years with the development squad before joining the amateur team this year, St-Germain says she’s grateful to be part of the program. “It has allowed us to play in so many prestigious tournaments all over the world and we’ve benefitted from having great coaching and support in all aspects of our game,” she said. The national team member points out that one of her favourite memories came in 2015 when she competed in the World Junior Girls Championships at the Marshes Golf Club in Ottawa. “I played in the tournament two years ago and it was a lot of fun. I learned a lot from the experience and made a lot of new friends from around the world,” she said. While the 19-year-old will not be competing in this year’s tournament – which will be returning to the Marshes Golf Club September 26-29 – she has a number of friends who are taking part. St-Germain was also quick to point out how much she enjoyed being one of the hometown favourites at the CP Women’s Open. Since the completion of the CP Women’s Open, the 19-year-old has returned to Daytona State where she is finishing off her second and final year of junior college. After she graduates, St-Germain will be headed off to Arkansas as she has already committed to the University of Arkansas for the fall of 2018. 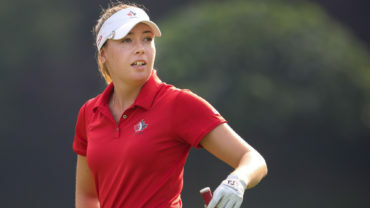 While many are predicting a bright future ahead for her, the 2014 Canadian Junior Girls champ understands that it’s important not to look too far ahead. “It’s important just to take it one day at a time and continue to work hard every day to improve all aspects of my game,” said the mature 19-year-old.